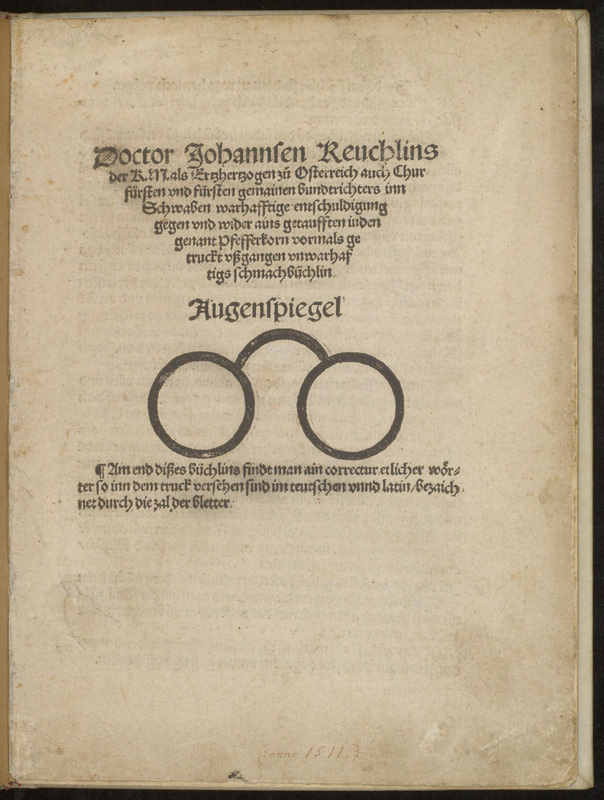 This early defense of religious tolerance was written by the Christian Hebraist Johannes Reuchlin in rebuttal to a proposal by the anti-Jewish agitator Johannes Pfefferkorn (himself a converted Jew), who was trying to lobby for the destruction of all Jewish books. 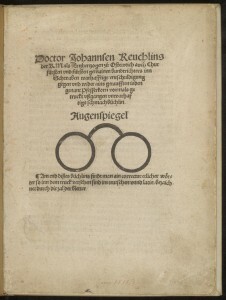 It is part of a collection of 16th century books on the controversy collected by Frank L. Herz. Born in Heilbronn in 1908, Herz arrived with his family in New York in 1935, where he and his brother worked in a family owned business of leather goods. When he retired he became devoted to humanism, especially Renaissance humanism, and started to study the Reuchlin-Pfefferkorn controversy.